Happy Sunday everyone! I hope you’ve had a great weekend. I’ve spent today working on some DIY projects around my house. I did manage to squeeze in some work this weekend. 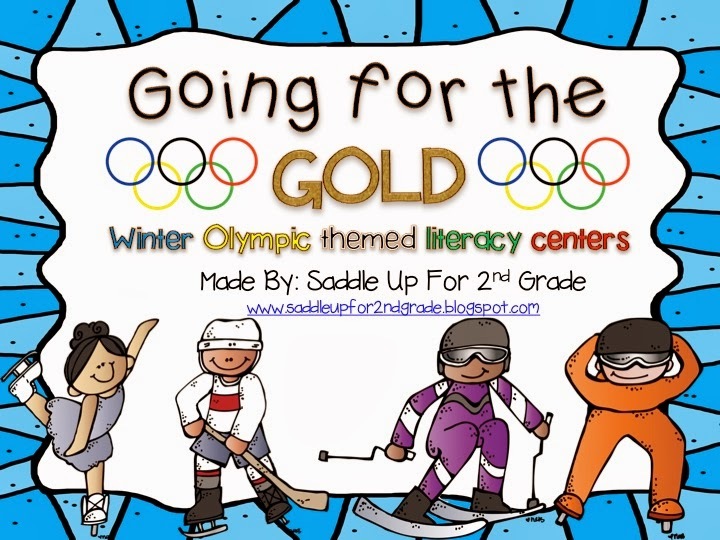 I finally finished my Going for the Gold: Winter Olympic Literacy Centers! I am so excited about these. 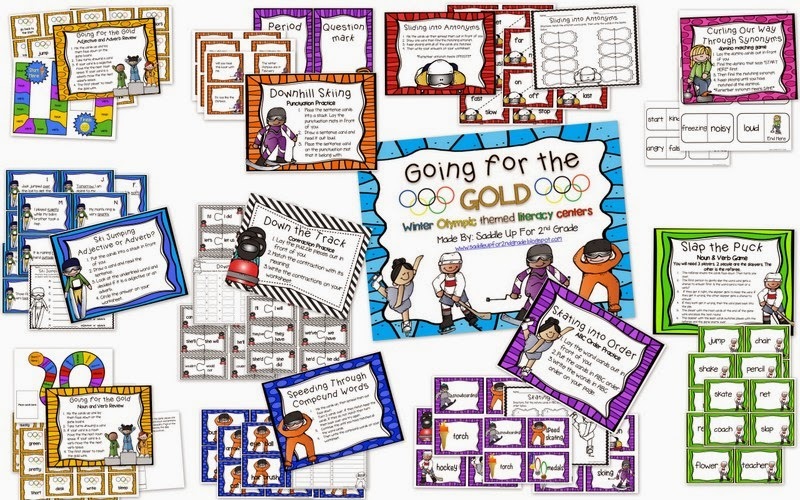 I absolutely LOVE the Olympics and cannot wait to implement them into my Daily 5/center rotation. Here is a sneak peak of what you can get with this unit. The skills in this pack include; ABC order, punctuation practice, contractions, synonyms, antonyms, nouns, verbs, adjectives, and compound words. You can grab these centers in my TPT store here. They are on sale for a few more hours!